History is very firmly on the line when Rafael Nadal battles with Novak Djokovic for the 2019 Australian Open title on Sunday. On Friday night, the Serb joined his great rival in the showpiece match with a blink-and-you'll-miss-it dismissal of world No.31 Lucas Pouille. 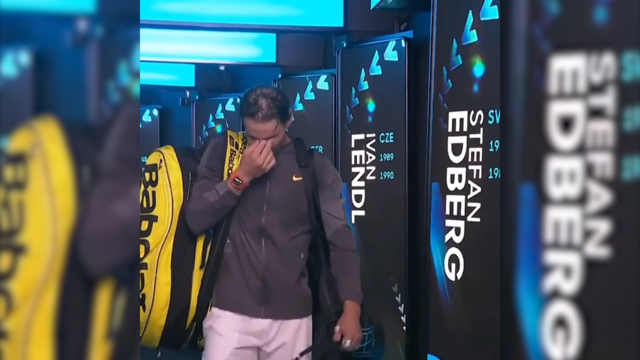 Djokovic needed just 83 minutes to win 6-0 6-2 6-2; a brutal defeat akin to Nadal's straight-sets embarrassment of 20-year-old Stefanos Tsitsipas a night earlier. It was the most one-sided pair of slam semi-finals since 1978. Now after swatting the youngsters out of their way, the veterans are setting their sights on the final. Both are shooting for incredible records. Djokovic, 31, can move clear of the pack with a seventh Australian Open, giving him sole ownership of the record ahead of six-times champions Roger Federer and Roy Emerson. It would be his third consecutive major; and he would become the only man to win three slams on the trot three times. And a 15th major title would move him closer to Federer's benchmark of 20. On Friday night's form, Djokovic clearly believes it's possible. "It is definitely one of the best matches I have ever had on this court, definitely," he said. Nadal, 32, is out for his 18th major, and with the French Open just months away, the much-loved Spaniard could yet overtake his Federer's incredible haul. Success would be Nadal's fourth in his 30s; something only Federer and Rod Laver have achieved. He would also move ahead of his rivals in claiming two of each slam. Finally, a straight-sets victory would allow him to boast of being the only man in the Open Era to win each major without dropping a set. "I have to be very happy about the way that I played," Nadal said of his Tsitsipas victory. "Playing solid with my serve, playing aggressive. Probably the backhand was better today than the rest of the days. That's important for me, too, because the forehand was working fantastic during the whole week, week and a half." The pair have met once before in the Australian Open final, combining for a five hour and 53 minute marathon won by Djokovic in 2012. "We have slightly different rules this year with the super tiebreak, so I don't think that we will go that far as six hours, almost," Djokovic said. "But that's a once in a lifetime experience, and, yeah, hopefully the outcome can be the same for me."